The Ocular Melanoma Foundation (OMF) is one of the leading resources for eye cancer research funding and patient/caregiver support. 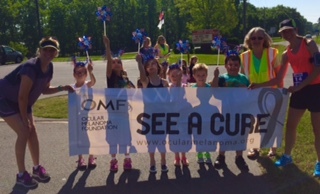 OMF has raised over a million dollars in its quest to #SEEACURE for eye cancer. It supports Ocular Melanoma patients who qualify, pay for some travel assistance and prosthetic assistance through our TAG & PAP Programs.